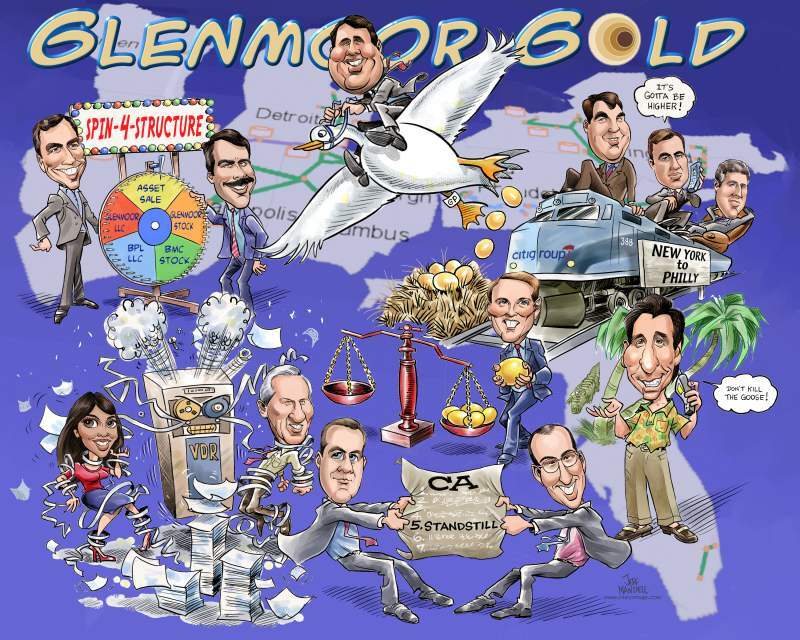 We produce high end digital illustration for a slew of the world's largest financial companies. All work is produced on computer in layers so alterations are not a problem. Final art can be provided as a digital file or high quality prints. Happy clients, new contacts and awareness for your company and your products. Digital means effortlessly adding your logos, mottos and themes to every face we draw. Attaching our laptop to large monitors means attracting huge audiences and creating an atmosphere where your salespeople can easily start a conversation. Thank you so much for your services at the 2014 AIR Forum. Everyone loved your drawings and your participation truly made the exhibit hall experience one to remember. You were great to work with and I wish you well on your future travels. 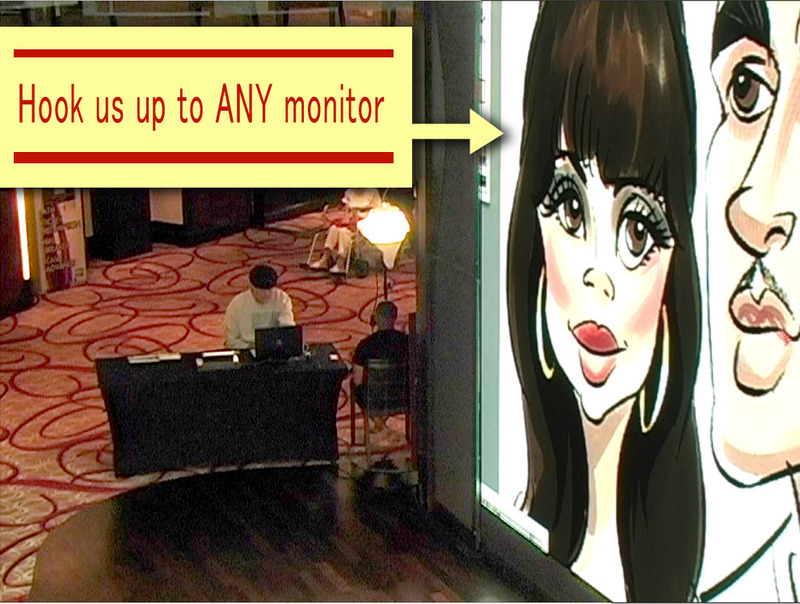 Have You Been Drawn by Us Digitally at an Event? You can order an exciting array of products with your image printed right on it (see samples). Just go to the Download Page and find Your event. When you click on your face, a host of options will show for purchase. Or you can have us create a caricature from a photo from our order page. We can hook our laptop to just about anything, even multiple monitors for trade shows and huge events. The huge display at left was used in the center atrium area on a cruise line we work frequently. Passengers watched from two levels as the digital artist performs his magic. Talk about exposure! Asian Name Painting often teams up with Digital Caricatures to create double the fascinating live quick artistic performance. Names are quickly painted in beautiful pictures using special brushes. Your guests will thank you while you save on costs. Available ANYWHERE in the country with NO TRAVEL FEES! Find out more here.